Maryland Traffic Ticket? Should I Request a Waiver Hearing or Trial? Maryland Traffic Ticket Trial vs. Waiver Hearing, What should I do? Q: What should I doing in the state of Maryland if I receive a traffic ticket that only carries with it the potential for a fine and not jail time? A: As a Baltimore based criminal defense, DUI, DWI, traffic ticket attorney that has handled thousands of these types of cases, my first response is to tell every client to request a trial. The reason for telling every client to request a trial is because you have to remember that the State of Maryland has the burden of proving you guilty beyond a reasonable doubt. That standard applies in every case from murder to a speeding ticket. If you were charged with armed robbery you wouldn’t mail an admission of guilt and sign that you were guilty. You instead would request trial and make the state either prove the case or enter into a plea negotiation with the state that gives you some sort of benefit for pleading guilty. The same theory applies in traffic tickets, so if you receive a traffic ticket that only requires payment and doesn’t require you to appear in court, you should always request the trial date. Available 24/7. Call (410) 694-7291 for Immediate Help with your Maryland Traffic Ticket Options. Q: Should I have an attorney present for the traffic ticket trial date? A: Yes, you should always have an attorney. The fee you pay an attorney is worth the avoidance of MVA points on your license and potential increase in your insurance premiums. Call my office ((410) 694-7291) to schedule a free consultation to discuss your traffic ticket. We can conduct the meeting in one of my offices or over the phone, so you don’t miss any work or take away your personal time by traveling. We can be reached at (410) 694-7291 and ask for Traffic Violation Defense Attorney Randolph Rice. An attorney can provide valuable legal advice on how best to either beat or reduce the effects of a traffic ticket in Maryland. Q: How do I request a trial date or should I request a waiver hearing in the state of Maryland for a traffic ticket? A: Choosing a trial forces the state to prove you guilty beyond a reasonable doubt by requesting. A waiver hearing is a hearing where you are admitting that you committed the offense and you still asking the Court for leniency. 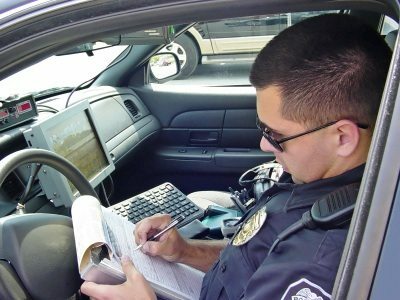 During a waiver hearing, you don’t add the uncertainty of the police officer being sick that day, being out of the country, retiring, not being available show up to court because he is working, or even the officer doesn’t really “feel like coming to court” that day and therefore the state cannot prove the case. Available 24/7. Call (410) 694-7291 for Immediate Help with your Maryland Traffic Ticket Options.